The Ellen Webb Studio is a beautiful light dance and yoga studio in West Oakland with plenty of street parking in the area. It is located 2 blocks west of Adeline, between 28th and 30th Streets in West Oakland, 5 blocks from the Emeryville Home Depot near the West St./San Pablo exit from Highway 580. 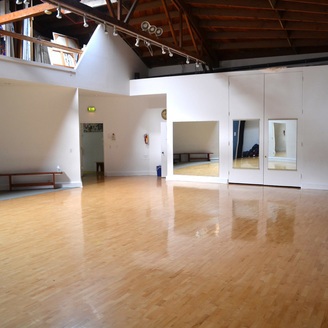 The Ellen Webb Studio is also available for rental. Please go to ellenwebbstudio.com for studio rental information.